A page from the classic 1940 Haggadah made by Polish artist Arthur Szyk. Graduates of the Valley Kindershule and Valley Mittelshule sing “In Dem Land Fun Piramidn” in Yiddish at the Erev Shabbos Discussion Group seder. Photo by Avishay Artsy. Jews mark the first two nights of Passover with a seder, a ritual meal that recalls the Jewish people’s freedom from slavery in Egypt. The word “seder” means order, and while there is a general order to the songs and prayers that precede the feast, these days you’ll find a wide variety of seders to meet your needs. For example, take Ashley Sullivan, a recent convert to Judaism. For her first Passover as a Jew, she and her boyfriend are creating their own haggadah for their seder in Los Angeles. The word haggadah literally means “the telling.” It’s a booklet that guides guests through the seder. “It’s totally customizable. You can really think about the themes that are going on in your own life that you want to explore, instead of just, you know, feeling like you have to read whatever’s in the book,” Sullivan said. An illustrated page from the Sarajevo Haggadah, written in fourteenth-century Spain. Sullivan and her boyfriend are using a website called Haggadot.com. (Haggadot is the Hebrew plural form of the word haggadah.) The site allows you to combine text, photos and illustrations and make your own haggadah – or download one that’s already been created. “We have a women’s seder, a haggadah for families, a haggadah for justice, a liberal haggadah, a traditional haggadah, an illustrated haggadah, a typographic haggadah,” said Eileen Levinson, the site’s founder and executive director, who also lives in Los Angeles. There are haggadot you can download with themes of LGBTQ rights, human trafficking, and even a “Black Lives Matter” haggadah. These are all designed to make the seder more relevant to people’s lives today. According to a recent Pew report, 70 percent of American Jews said they went to a Seder in 2012, down from 78 percent a decade before. 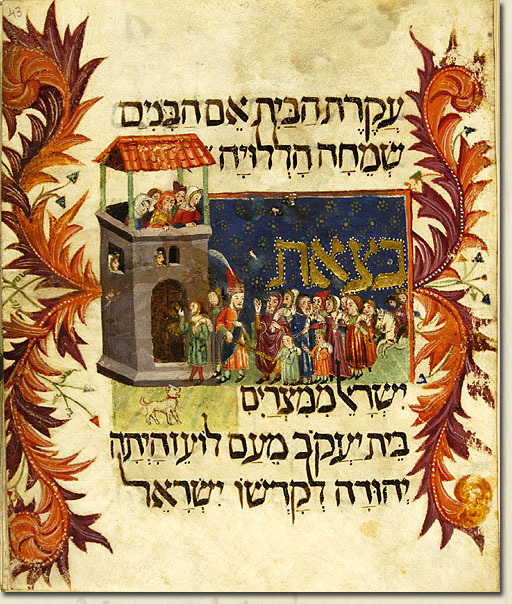 Customizing the haggadah is nothing new. 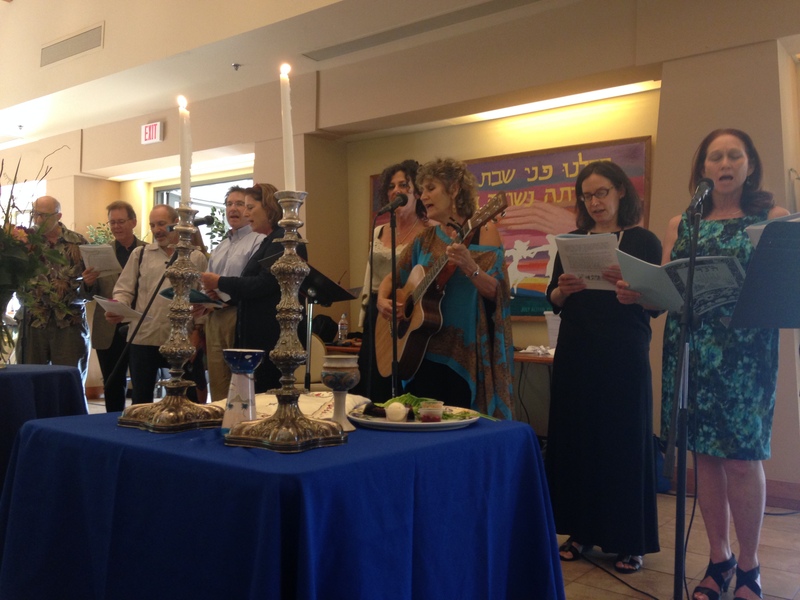 This past Sunday I went to a Passover seder at American Jewish University’s Brandeis-Bardin Campus in Simi Valley, in the suburbs north of Los Angeles. This group of left-leaning, secular Jews, known as the Erev Shabbos Discussion Group, began celebrating Passover together back in the early 1960s, and created a haggadah that reflects their culture. The group incorporated segments of several haggadot, while adding Yiddish and English poems that were meaningful to the group. It’s been revised every few years. “It’s an enormous amount of work,” said Sylvia Brown, 90, one of the group’s founders. The Passover seder was created after the destruction of the Second Temple in Jerusalem in 70 CE. Rabbis invented the seder as we know it, because Jews no longer had a temple to perform animal sacrifice. “They took the sacrifice and the temple and they replaced it with the home, and with the text that would be studied and recited in the home,” said David Kraemer, a professor of Jewish literature and rabbinic history at the Jewish Theological Seminary in New York. Kraemer also wrote the commentary for a Haggadah iPad app. A recent edition of the Maxwell House haggadah. The coffee company began printing it in 1932, and has distributed over 50 million copies since then. There are beautifully-illustrated haggadot from fourteenth-century Spain and 17th-century Venice. Yiddish haggadot of the 1800s parodied bourgeois capitalists as well as socialist rabble rousers. There was even a Polish haggadah in 1934 that challenged Hitler and mocked the rising Nazi party. But the one haggadah that most American Jews are familiar with comes from a coffee company. In the 1920s, Maxwell House launched an ad campaign to convince Jews that coffee is indeed Kosher for Passover. Some Jews don’t eat beans on Passover (legumes are considered kitniyot, or food not edible during Passover, by Ashkenazi Jews). The company’s point was that coffee comes from the seed of a fruit, not a bean. 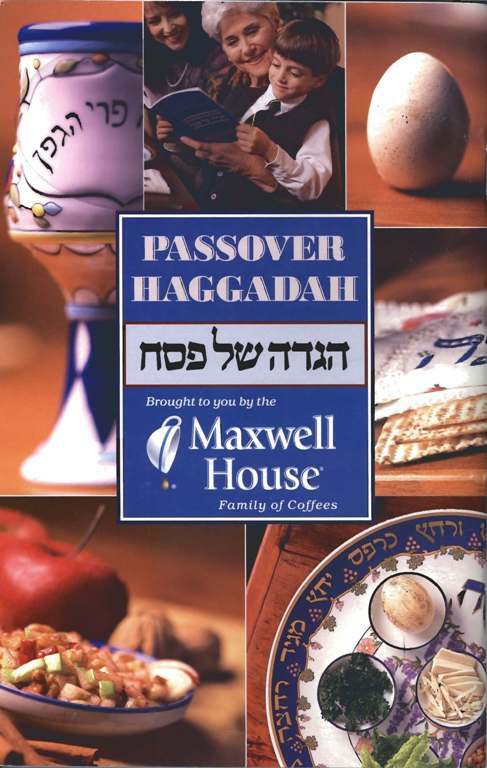 As part of its campaign, Maxwell House began giving out free haggadot. To date, over 50 million copies have been distributed. But the Maxwell House haggadah also became synonymous with cookie-cutter, traditional Judaism. “The Maxwell House haggadah and the way Passover was given to us as kids was all about the exodus. And at some point, a lot of us decided that it’s not just about that. That the real story of Passover is liberation of all people,” said Sasha Perry, a documentary filmmaker and vegan activist. As a kid in Las Vegas, her family seders were pretty traditional. When she got to college, she brought her radical politics into the seder. “The first haggadah I tried making was kind of like a ransom note-looking haggadah, where I was cutting things out of physical haggadahs I had seen, the same way I would sit in a record store and made zines about vegan food and music,” Perry said. She made other haggadot that referenced transgender rights, racial and economic inequality, and she hosted vegan seders in Los Angeles. Michael Hebb had a similar experience. He began hosting seders in his early 20’s in Portland, Oregon. 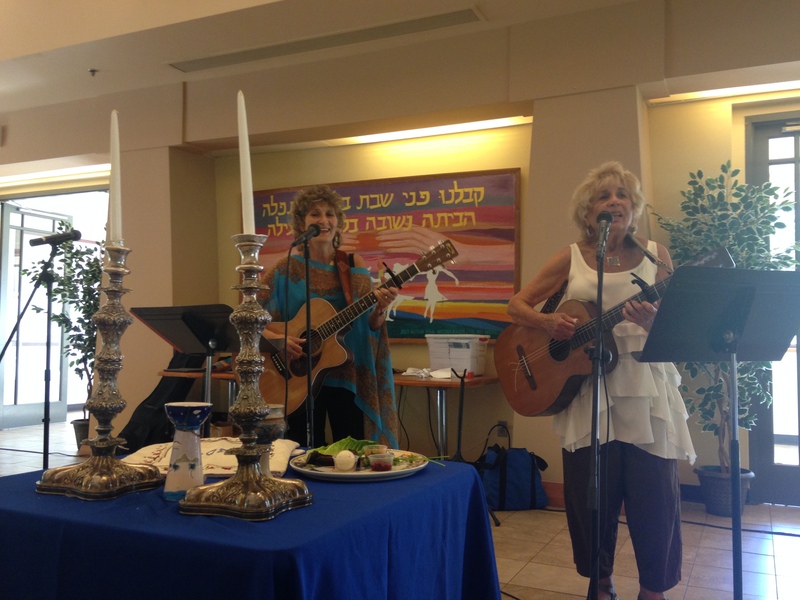 Cindy Paley, left, and Sylvia Brown perform at the Erev Shabbos Discussion Group seder on Sunday, March 29, 2015. Photo by Avishay Artsy. Hebb didn’t grown up religious, but he liked the idea of getting people together to talk about deep, philosophical issues. 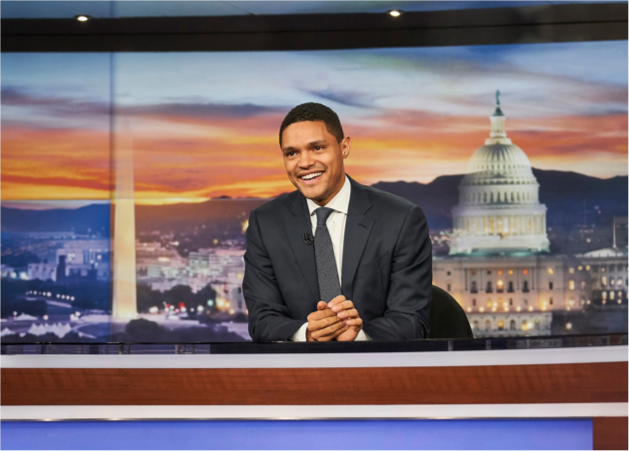 He recently became known for Let’s Have Dinner and Talk About Death, a national campaign to get people to discuss mortality with family and friends. He’s now launched Seder2015.org, a digital platform and campaign to reinvigorate the seder. “When we started working on Seder 2015, I expected that we would hit immediate backlash, that we were taking something sacred and putting it into something that you could access on your iPhone,” Hebb said. Instead, he said he’s gotten nothing but support from rabbis and members of the Jewish community. “Everybody has been incredibly positive and passionate about the fact that somebody is thinking about conserving and invigorating and bringing Passover into the digital so that it can reach younger generations,” Hebb said. “If you just do Passover and you only sing and you do all the prayers and you do all the rituals, and you don’t internalize the story, I think you’ve missed the point,” said Eileen Levinson of Haggadot.com. The point, she said, is that the seder should be a chance to reflect on the story of Jews escaping slavery, and how it applies to every group that fights for freedom and equality. If you want to have those kinds of discussions around the Passover table, it’s never been easier to create your own haggadah.